Marsh Lake - Yukon is a photograph by Juergen Weiss which was uploaded on January 15th, 2010. Judas Creek was unsuccessfully prospected during the gold rush. Pyrite was discovered and a lot of work was conducted to discover the source of this sparkly mineral. When the eager and inexperienced miner located the source of the fool's gold, his disappointment was biblical and he named the creek Judas Creek. During the late 1900s more people sought recreational land outside of Whitehorse, the government developed several subdivisions along Marsh Lake for cabin lots. As utilities were introduced the area became more of a bedroom community for Whitehorse. (Resource Wikipedia). What a wonderful shot, Juergen! I really enjoy your photography, they are so beautiful and inspiring! Sure I'll be back soon! Many thanks for your nice feedback on my "Adobe Village" and "Confess..." , I really appreciate it!!! Here is an another amazing piece! Just remarkable! Your work is very beautiful!
" Marsh Lake " such a wonderful place ! Reminds me all the time great memories ... ! I truly appreciate it that you like it so much ... ! Breathtaking! Mother Nature does it best...we can only try to attempt to copy her work. The sunlight and color contrast are indeed spectacular. Perfect shot! Juergen, the sky is amazing and so is the reflection of it in the water. Thank you so much for your kindness, Erika & Will ! 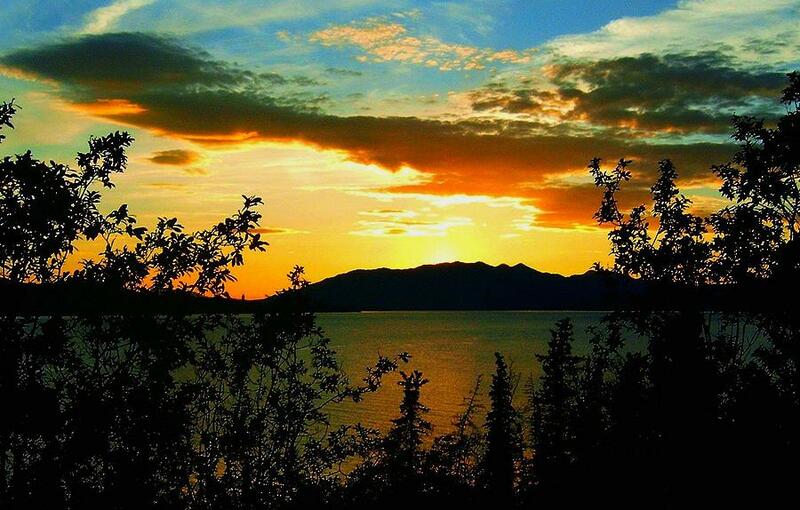 The Yukon is a stunning place to be- this is a glorious sunset, Juergen! I used to swim in Marsh Lake when I visited there in the summer! Thank you very much for your recent comments!! I love your landscapes! Great work! Wow, this is truly breath-taking. You have such a knack for capturing the moment of beauty! Gorgeous!! Love the colors and the composition!